From November 2015 to the end of September 2016, the Canadian government spent approximately $27 million on external communications and PR consultants. Some of the contracts ended up costing several hundred thousand dollars, with the largest awarded to Casacom for a four-year contract at nearly $600K. But there were plenty more firms receiving hefty payments during the year. Not mentioned with a specific amount is National PR, Canada’s largest PR firm with a strong government relations and public affairs division. National PR acquired Shift Communications earlier this year. 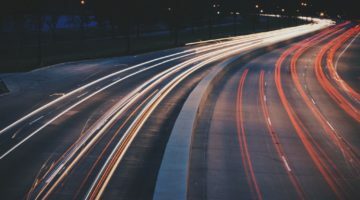 Finsbury already has clients based in Japan, including Softbank, the Japanese government, and Toyota, and its new office will provide easier access for their work as well as for others across Asia. Leading the office will be Kyota Narimatsu, just named Finsbury Japan’s co-president. He just joined the firm at the beginning of November after leaving Barclays. Initially, the office will have four people on staff with more scheduled to be hired after the new year. Narimatsu was the leader of corporate communications at Barclays most recently, but he has also been in charge of marketing and communications for Russell Investments for the firm’s clients in China, Korea, and Japan. Narimatsu also worked at Sumitomo Mitsui Banking Corporation and Standard & Poor’s (Japan). This article written by Kent Campbell is one that all PR specialists and leaders should acquaint themselves with. It covers how dark PR functions and is used, whether by secretive government organizations such as the NSA and Britain’s GCHQ, or by other non-government entities. PR usually works to build up reputation and get the word out about what a brand, organization or individual excels at, but dark PR’s efforts are focused on destruction of reputation. This effort generates false trails, using social media to manipulate public opinion for the purpose of making opponents weaker by attacking reputation and placing fake news stories. All that effort is most dangerous when done by large agencies. Recent reports hold that the massive U.K. PR firm of Bell Pottinger is receiving millions of dollars from the U.S. government to create false bombing reports in the Middle East. Dark PR may start with half-truths and rumors, but it escalates, and soon minor circumstantial evidence seems to be all the necessary proof needed for people to accept everything they are told about a situation or incident. Agencies like the NSA end up discrediting their enemies by using fake IP addresses to plant false news stories and other leads that go nowhere near the truth. 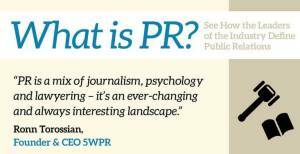 As a PR expert, or if you strive to be one, you need to read the article and learn about this process. Only if you know the tactics can you begin to decide how to counteract them on behalf of your clients if the need arises. At a recent AMA interim meeting in Orlando, Florida, held November 12-15th, Dr. James Madara delivered a speech about the knowledge he’d found in the association’s success during this year. His five main accomplishments are that the AMA was named as #1 on APCO Worldwide’s list of the 50 most effective professional associations in the U.S. The second was remembering how the AMA received recognition from President Obama for their work to curb the opioid epidemic. The other three highlights include the medical education textbook being created by the AMA focusing on health system sciences, the AMA being recommended by CMS for their digital tools, especially the Quality Payment Program Payment Model Evaluator, and the partnerships between the AMA and other organizations such as the CDC and the American Heart Association. So traditional marketing is no longer the way to promote brands or products. Social media is key according to 74% of marketers from Five by Five’s recent study interviewing 730+ senior brand marketers from the U.S., Australia, and the U.K. If you want to get the guide on how social media can enhance business, click here.